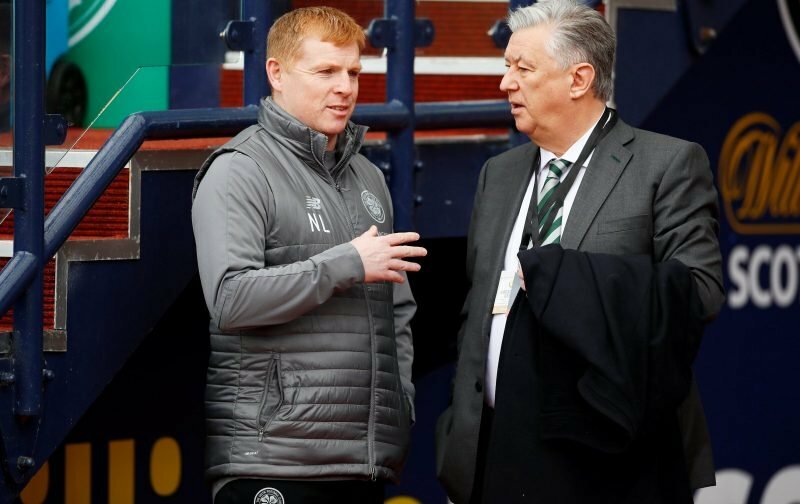 Neil Lennon has revealed that he spoke with Dermot Desmond on the eve of Celtic’s Scottish Cup win over Aberdeen for an update on the club’s managerial vacancy. The build up to the Hampden clash featured an almost daily procession of likely candidates ranging from Roberto Martinez and Andre Villas-Boas through to Michael O’Neil and Graham Potter. Lennon took over on a caretaker basis almost as soon as Brendan Rodgers left for Leicester as Celtic deal with the trauma of looking for a new manager during the season. Peter Lawwell deals with almost all of Celtic’s business but there is no doubt that Desmond was heavily involved in the appointments of Martin O’Neill, Gordon Strachan and Rodgers. Lennon has the task of dealing with another manager’s squad on a daily basis while hoping to get the job on a permanent basis as speculation over a new manager whirls around. It was a highly pressured game. Whether it has any impact on my future, I don’t know. I spoke to Dermot on Saturday and he said all the speculation is just noise and nonsense. I knew that anyway because these are class people I work for. I’ve worked for them before and know the way they work. They leave me to get on with the job which is obviously reassuring. But I didn’t need that reassurance anyway. He [Desmond] is a tough man. He is very demanding, but that’s why he is who he is. Again, I’ve had no guarantees, no reassurances, no promises. I’m here to do a job and I’m taking it game by game. I’m older now, I can take all the noise. Maybe 10 years ago, I would have got upset or annoyed about it. But not now. If the club perceives the best way forward is to go somewhere else, then who am I to argue with that? That’s for other people to decide. Celtic haven’t made any public comment on the managerial position since the appointment of Lennon. With the hoops reaching the Scottish Cup Final on May 25 there is just a seven week gap before the first European qualifiers of next season on July 9 or 10.